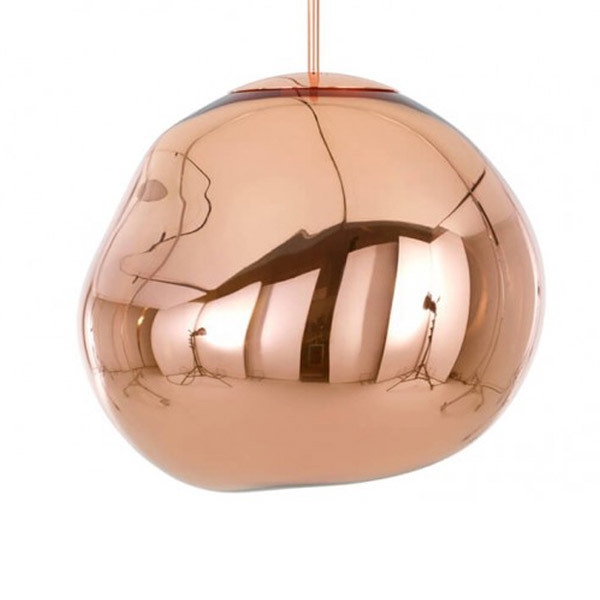 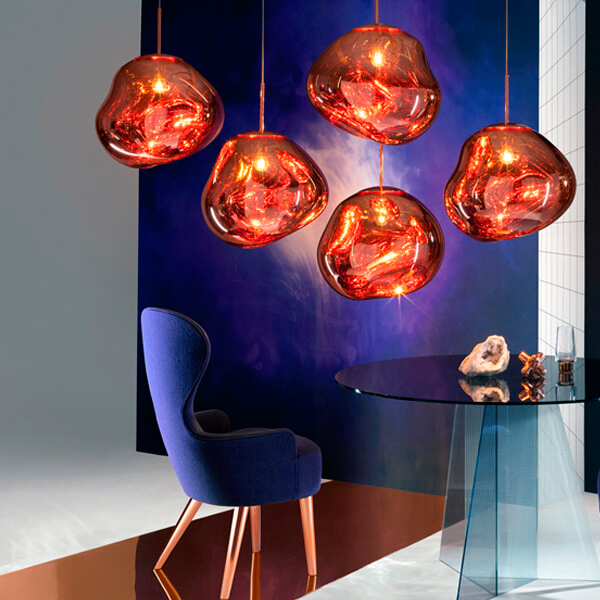 Tom Dixon’s intriguing Melt pendant light was designed in collaboration with the Swedish design collective Front. 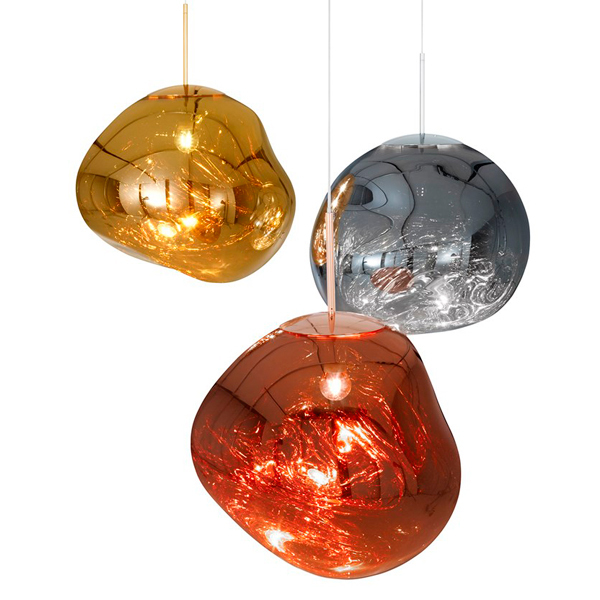 When turned off, Melt has a lustrous mirror finish and the uneven surface reflects light in the most exciting way. Only when turned on or in full daylight the pendant turns translucent and creates an illusion of hot melting glass. 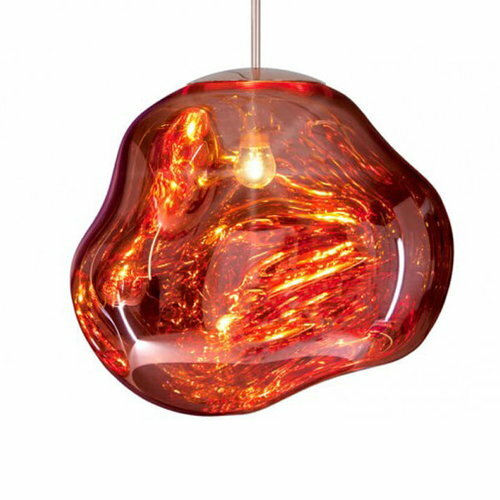 A group of Melt lights is a true showstopper, but also a single pendant will function as a captivating décor item.